bentbobb (4 years ago) Inappropriate? I''ve purchased a few of these older gowns on ebay to use as examples and have scanned and photographed the lace and embroidery details. (These vintage gowns cost almost nothing on eBay). Nice work on the gowns. I particularly like the style and details in the Cortigiana dress. I''m slowly working on wedding gowns in that ridiculously ornate style that was popular in the late 80''s to early 90''s (think Demetrios and Eve of Milady). I find modelling to be straight forward but am challenged by rigging and morphs in Daz3D. 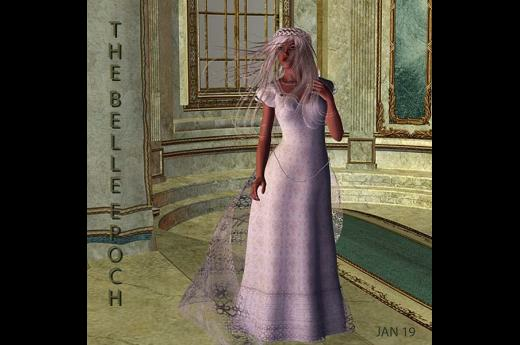 I worked in Poser for many more …Nice work on the gowns. 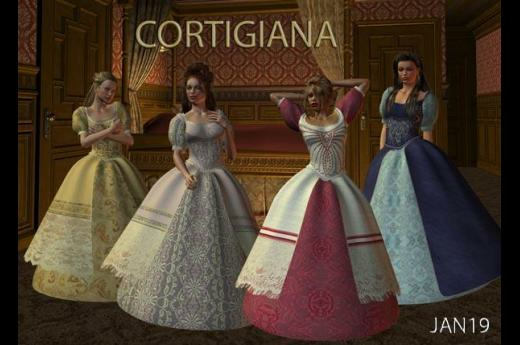 I particularly like the style and details in the Cortigiana dress. I''m slowly working on wedding gowns in that ridiculously ornate style that was popular in the late 80''s to early 90''s (think Demetrios and Eve of Milady). I find modelling to be straight forward but am challenged by rigging and morphs in Daz3D. I worked in Poser for many years but have switched due to the sharp drop in the poser user base. Can you recommend any useful tutorials? I''ve found little usable instructional material, just snippets here and there. I don''t believe that either Daz/Poser or the content creators want folks to make their own items as this would reduce their own sales. ajdragon (4 years ago) Inappropriate? Hey, Mini! Great to meet a fellow historian. Are you an artist, too? Would love to see some of your works! :-) Thanks for the comment, Jan.
P.S. Hope I answered everyone and again, I apologize for the delay. mininessie (9 years ago) Inappropriate? love your work Jan...i love history but i�m not an expert.....anyway i love to create images of eras. Androtomy (9 years ago) Inappropriate? I am a costume designer for the theater. Can you suggest where I look to learn to create clothing. Is it done within Poser, are there templates, any direction in where to look for tutorials would be greatly appreciated. And thanks so much for sharing your creations. maki82 (9 years ago) Inappropriate? Your work is truly wonderful! I too am a history lover and I am over-joyed with your historical garb! Thank you so much and please keep up the beautiful work. robinski (9 years ago) Inappropriate? Very beautiful, detailed work. Thank you for sharing these gems. Faydre (9 years ago) Inappropriate? I have to ask what program do you use to make the clothing objects? IronWolf (9 years ago) Inappropriate? Thank you for the "toys". They are some really beautiful works. labrat (9 years ago) Inappropriate? Jan, where have you been? Are you busy creating or getting ideas? I miss you and your creations, and I hope you have not stopped creating for those of us who cannot do anything like you do. 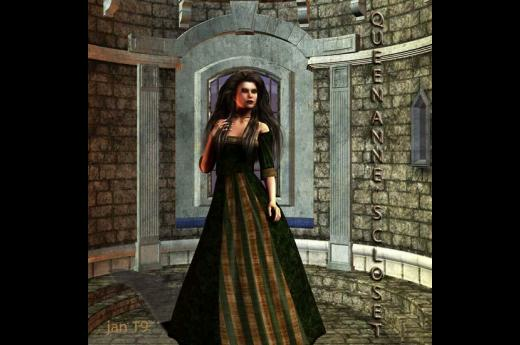 Jan, you truly are the queen of historic romance novel dresses. =^_^= The community is far richer since you've come along. lazyspark (10 years ago) Inappropriate? You have some beautiful gowns and I thank you for sharing them. I belong to a group which is helpful to all who enter and does have some modelers and a lot of beginners you may wish to check it out if you have any trouble tell Deni that lazyspark invited you. YourSunshineGirl (10 years ago) Inappropriate? Jan just wanted to say Thank you for all of your wonderful offerings. I appreciate them all.